South Korea - We got to visit Seoul while living in Hong Kong back in 2009. It was great as it was only a 2.5 hours flight from there. Having extra miles on our frequent flyers, we exchanged them for 2 tickets on Asiana airlines for a long weekend trip there. I have to admit, I love Japan, their culture, anime, doramas, food etc etc, but I do not know much about Korea except for Kim Chee and Korean BBQ. Everyone now are into KPop, KDrama, but I was never into anything Korean. 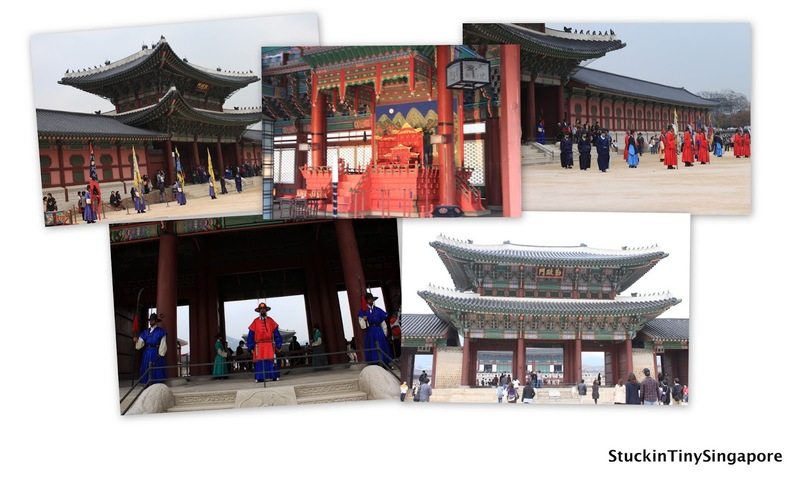 So this trip to Seoul was, in addition to a holiday, a learning trip for me. I was enlightened by my hubby, who is a history buff regarding the Korean war, the north/south spilt etc. For that, I had scheduled in a visit to the DMZ (Demilitarised Zone). For those who do not know what the DMZ is, it is a strip of land that is used as a buffer zone between North and South Korea. North Korea is the communist part while South Korea is the richer, democratic half. It is 250km long, and 4km wide and is the most militarised border in the world. It was just amazing standing on the South Korea part of DMZ, to be so close to a country where personal freedom is non-existent. Where the south counterpart is flourishing in capitalism and the other half has citizens who are starving to death! Travelling in Seoul was easy. Everything reminded us of Japan, but we found it difficult as not a lot of Koreans speak English and the Korean Language was undecipherable for me. At least in Japan, there were Kanji which is the same as Chinese characters which I can make sense of. Despite the language barrier, we had fun there. We got a great value hotel, IBIS in Myeongdong, one of the main shopping street in Seoul for our stay. After all that sightseeing, it was time to fill our tummies. The husband and I love Korean food, though our knowledge about it is limited. We had the quintessential Korean BBQ. What I love about Korean cuisine, is the number of banchan or side dishes they serve with a meal. The variety is astounding and I love the variety!! The highlight of our trip was the visit to the DMZ. One had to prebook your trip with Korea Tourist Bureau and submit your passport details prior for security clearance. You have to prebook your tour at least 48 hours in advance. There is even a dress code (no jeans, slippers etc). You may bring your cameras, but be warned that if you are told not to take pictures in a certain areas, please don't even try. We witnessed a couple who tried and was chased down by a military policeman and had their pictures erased from their digital camera! What makes the visit to DMZ interesting is that you are in the only divided country in the world! Unfortunately, we were only in Seoul for 3 days and the USO tour to Camp Bonifas and Panmumjeon were fully booked. In the end, we did a short tour that included the third infiltration tunnel. If I have the chance to go back to Seoul, I will definitely book the USO tour. The tour started with our bus dropping us off at Imjingak, located 7km from the Military Demarcation Line. It was built in 1972 with the hope that someday unification would be possible. Next, it was time to go underground and headed towards the third tunnel. We were told that this was one of the 4 tunnels found in the 1970s. North Korea planned to use the tunnels to invade South Korea, which they denied. Before we entered the tunnel, the visitors center/museum provided a displays on history and background on the DMZ. There was also a multimedia presentation showing a reunion between North and South Korean families. Unfortunately, no pictures are allowed in the tunnel. It felt rather claustrophobic in the tunnel, as it was just over 5 feet in height. You were to deposit all your belongings, cameras in lockers and given hard hats to wear. Throughout the walk through the tunnel, you could hear clings and clangs as taller visitors hit their hats against the scaffolding support parts of the tunnels. Next, we were taken to see the Northern most station in South Korea, Dorasan. It was built and completed in 2002 in the hope that one day, this station will be where you can board a train direct to Pyeongyang. 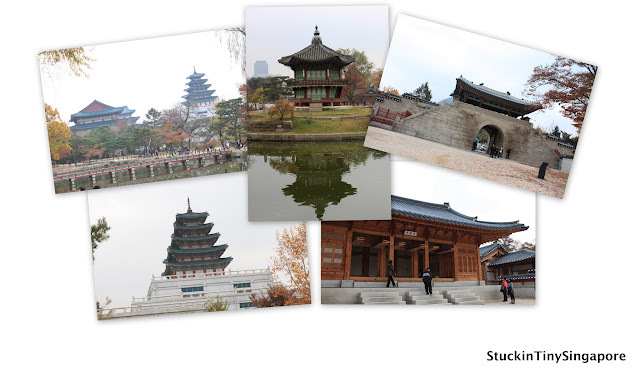 Our short 3 day trip to Seoul was short but fantastic. We packed a great deal into the trip and didn't come away disappointed. I leave you again with a meaningful quote. The subject is Peace. I sincerely hope that the North and South Korea issue can be resolved eventually. Though during the course of writing this post, North Korea was again stirring up trouble whereby despite warnings from US and other Nations, North Korea fired a missile today (13th April 2012). Luckily, the rocket launch was a failure, but it shows how fragile the ceasefire between North and South Korea is. As the quote by Andre Gide goes: "It is easier to lead men to combat, stirring up their passion, than to restrain them and direct them towards the patient labours of peace. ", it rings so true.